Steven I. Milligram, Esq. (Steve) is highly regarded as one of the premier litigators in the Hudson Valley. As a Trial and Health Care Attorney, Steve is experienced in all phases of personal injury, municipal liability, professional negligence, malpractice and transactional litigation in all Courts. Steve's expertise further extends to real-time Bio-Medical and Hospital practice issues. Steve began his career in the Bronx District Attorney's office where he tried over 75 cases to verdict, many of which involved narcotics and one of the first crack cases in the City of New York. The hard-hitting impact of these prosecutions improved daily life in the greater Bronx community. 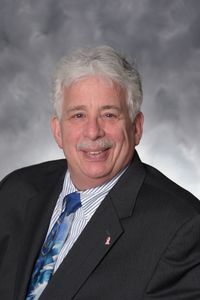 Upon leaving the District Attorney's Office, Steve joined a Hudson Valley firm and focused on medical malpractice defense, representation of health care professionals and defense of State administrative investigations. In 1991, Steve joined the predecessor firm to CMMR and became a partner in 1996. As one of the most accomplished trial lawyers in the State, Steve has tried nearly 200 cases to verdict with a high success rate. Steve has also counseled and represented health care professionals before state boards and during state investigations. Since joining CMMR, Steve has litigated and tried a wide spectrum of commercial cases while focusing upon the representation of doctors, nurses, other healthcare professionals and institutions. Born and raised in Yonkers, New York, Steve has deep roots in the Hudson Valley and completed his education locally. Steve is admitted to practice before all state courts in New York and New Jersey, all Federal Courts in those states, as well as the Supreme Court of the United States. Steve has taught both in paralegal training programs, and lectured to various attorney organizations: Lecturer and Chapter Author in the field of Civil Trials and Litigation; Former Counsel to Bio-Medical Ethics Committee and Institutional Review Board; Past President Orange County Bar Association; Past President Monroe-Woodbury Pop Warner Football League; Voted "Top Attorney" Upstate New York 2007-2010, rated among top 5% of attorneys in Upstate New York; Member Executive Committee of the New York State Conference of Bar Leaders; Rated in 2013 as among the Top 5% of Upstate New York Attorneys. Lecturer, "Trial Advocacy in New York"
Lecturer "Civil Trial Procedure in New York, Winning the Slip and Fall Case"